CataRT is a technology devoted to structuring sound grains obtained from large sound data bases of any kind according to sound characteristics automatically analyzed and chosen by the user. Thus, sound databases and archives may be explored quickly and intuitively for use in the areas of musical composition, sound design, live performance and improvisation. The workshop will be mainly devoted to presenting the technology and giving participants the chance to use it via “hands-on” sessions in order to acquire the skills necessary for creating compositions, installations, digital instruments and personalized creative tools. At the end of the workshop performances will take place for presenting the participants projects as well as works by invited artist Alexis Baskind. 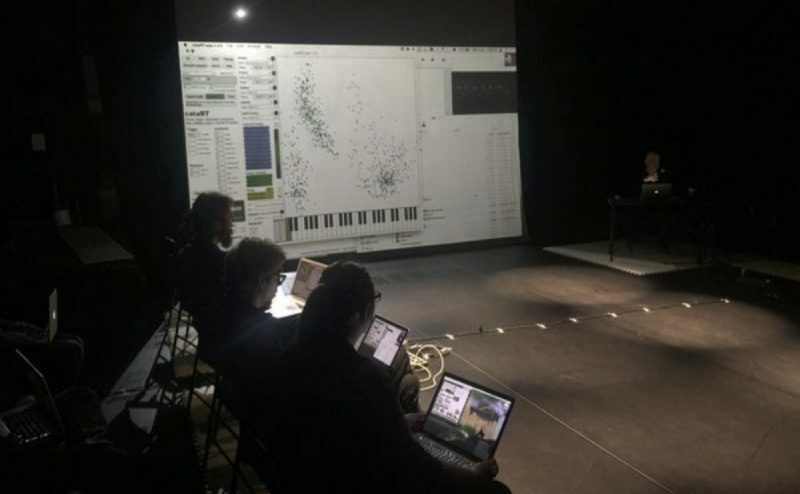 This workshop will be led by Diemo Schwarz, Mikhail Malt (IRCAM), Christopher Trapani (Columbia University, New York), Aaron Einbond (London City University) and will be limited to 16 participants having a good knowledge of Max programming. Other posts in Category "Conference"